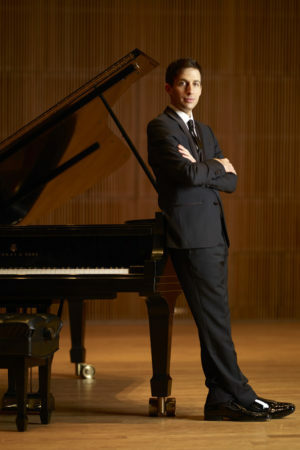 Benjamin Hochman—piano (Winner of the prestigious Avery Fisher Career Grant) will perform works by Bach (French Suite No. 5 in G), Chopin (Two Nocturnes Op. 62 and Ballade No. 4 in F minor Op. 52), Mozart (Sonata in A minor K. 310), and new works by Gilad Cohen and Jesse Brault. Please reserve your tickets in advance. Single tickets are available at gro.t1556135091nehgl1556135091lihpm1556135091ac@st1556135091recno1556135091c1556135091 or by calling 518-392-2760.